Dr. Hajian received his Mechanical Engineering B.S. degree from Stanford University and M.Sc. and Ph.D. degrees in Engineering Sciences from Harvard University. 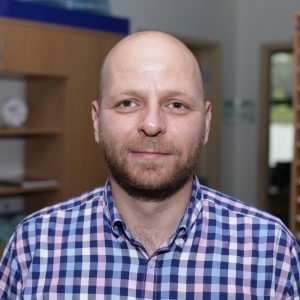 After working in the Biomechanics Group at Exponent, Inc., he relocated to Armenia in 2000, where he has worked in a number of hi-tech, entrepreneurial and community positions. He has served as Executive Director of MadeinArmeniadirect.com and as a Managing Consultant at Arlex Intl. in Yerevan. He is also a co-founder and board member of the Chess Academy of Armenia. His scholarly publications are in the area of biomechanics and relate to the mechanical characterization of the human hand. He teaches several courses in the College of Science and Engineering. 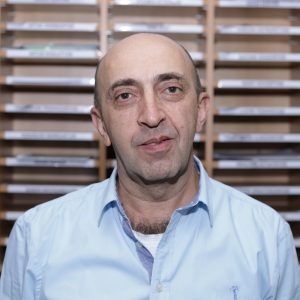 Lecturer and Director of the CAD/CAM Laboratory, Mr. Zeytunyan has 20 years of experience as a mechanical engineer. He teaches Computer-Aided Design and Manufacturing courses as well as training courses for practicing engineers. Aside from CAD/CAM, his professional interests include NC programming and computer simulation. He is a member of the American Society of Manufacturing Engineers. He has received Certificates of Design Excellence from Parametric Technology Corporation in 2002 and in 2005 in the Educational category. Hayk Nersisyan joined CSE as an adjunct lecturer in 2014. In 2015 Hayk Nersisyan was appointed as the Program Chair of BS in Computer Science program. 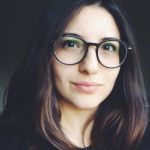 Nersisyan holds a PhD in Mathematics from University of Cergy-Pontoise, France and spent one and a half years as a postdoctoral fellow in Basque Center for Applied Mathematics, Spain. He has research interests in: Controllability and stabilization of PDEs, Equations of fluid mechanics, optimization of water wave equations, and machine learning. Nersisyan, D. Dutykh and E. Zuazua, Generation of two-dimensional water waves by moving bottom disturbances, IMA Journal of Applied Mathematics, 2014. Nersisyan, Stabilization of the 2D incompressible Euler system in an infinite strip, to appear in Annales de l’Institut Henri Poincare / Analyse non lineaire. Nersesyan and H. Nersisyan, Global exact controllability in infinite time of Schrodinger equation, J. Math. Pures et Appl., 97(4):295-317, 2012. Nersisyan, Controllability of the 3D compressible Euler system, Communications in Partial Differential Equations, 36(9) 1544 -1564, 2011. Nersisyan, Controllability of 3D incompressible Euler equations by a finite-dimensional external force, ESAIM Control Optim. Calc. Var., 16(3):677-694, 2010. 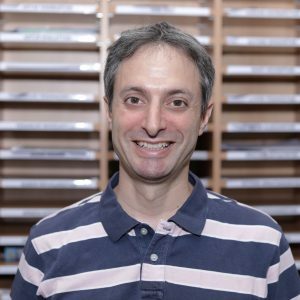 Habet Madoyan joined CSE in 2013 as an Adjunct Instructor. In 2018 he was appointed as the inaugural Chair of the BS in Data Science Program. 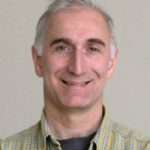 The areas of his scientific expertise include conjoint analysis, machine learning, predictive modeling, data visualization, optimization and forecasting. He is the founder of a data-science consulting company ans is active in the data sciences community, start-ups, and the Yerevan R users’ Group Meetup. 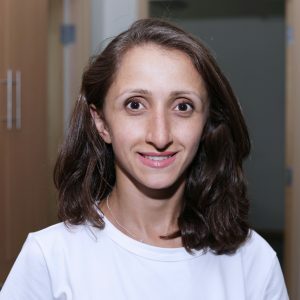 Habet is also the co-founder of Mychoice which is an online market research tool that automates conjoint analysis from the experimental design to estimation and report generation. Habet Madoyan holds a Ph.D in Management from the National Academy of Sciences of Armenia and an MBA from the University of Missouri, Columbia. Dr. Hambarian serves as Assistant Professor and Researcher in the CSE. He has supervised a number of international research projects related to alternative energy and design of test equipment for the semiconductor industry. His interests include issues related to product life-cycles, heuristic scheduling, renewable energy, solar hot water and photovoltaic applications, as well as topics in semiconductor technology, such as interaction of laser radiation with semiconductor surfaces both for testing and for modification of characteristics. 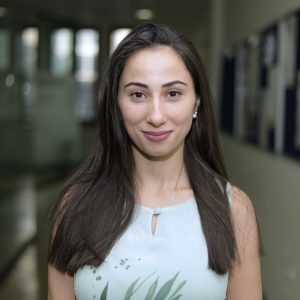 Dr. Danilova is an AUA graduate from the Masters Program in CIS, earned after a Ph.D. in Molecular Biology & Medicine from Yerevan State Medical University. Her interests include brain-cell protection as well as bioinformatics (data mining in bioinformatic databases). 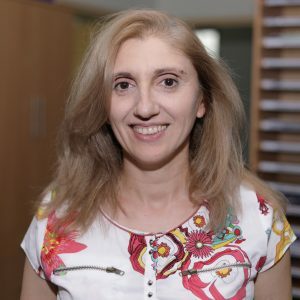 In 2007, Dr. Danilova won the 1st Category Award in the RA Presidential annual IT contest sponsored by “Synopsys Armenia” and “Hayastan” All-Armenian Fund. Her brain-cell protection project was awarded a DAAD research grant in 2005. 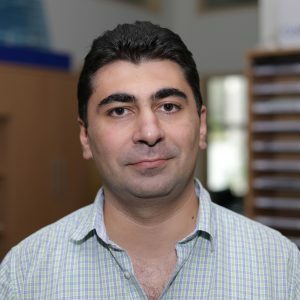 Arthur Khalatyan joined CSE as an Adjunct Lecturer in 2015. 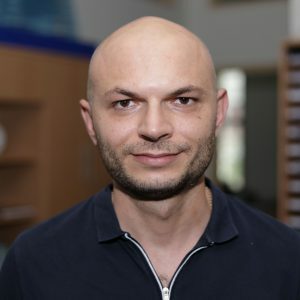 Arthur earned his Bachelor’s degree in Economist with Yerevan State University of Economics and his MSc in Analysis, Design and Management of Information System with London School of Economics and Political Science, department of Management. Prior to joining AUA, Arthur was actively involved in Educational projects, and served as academic affairs principal at Ayb school and head of teacher professional development unit with National Program for Educational Excellence. He has extensive experience in design and management of professionals and personal development programs. Arthur is also focusing his research and consultancy activities on technology driven change management and systems design, as well as development of technological ecosystem and the role of secondary and higher education, also serving as Inaugural industry liaison with Akian College of Science and Engineering. Arthur spent around 10 years in management consultancy in banking and energy sectors and started his career as a financial reporter and TV program producer. Arthur’s specializations include Talent Learning and Development in Tech Industry, Design of Collaborative and Communication Information Services, Education Management, Communications and Marketing. Hranush Papyan joined CSE in 2014 as Administrative Assistant. She has earned her BA degree in Agribusiness and Marketing from Agribusiness Teaching Center and Armenian State Agrarian University. Engineering Sciences undergraduate program advisor. Knarik Gevorgyan joined CSE in March 2014. Knarik Gevorgyan earned her BA degree at Yerevan State Linguistic University after Brusov and her MA degree at Yonsei University, Seoul, South Korea. She has worked as a teacher/professor of Korean, translator/interpreter and program coordinator. Ani Asatryan joined CSE in 2018. After getting her BA degree as a Linguist in 2011 and Master`s degree in the sphere of International Relations in 2013 at Yerevan State University of Linguistics and Social Sciences after V. Brusov, Ani Asatryan worked as a financial advisor in “Converse Bank” CJSC during 2012-2013, after which worked as a Management Coordinator in “Prime Insurance Brokers” LLC during 2013-2018.